Book name is “Salah-ud-Din Ayubi” Written by Herald Liam. Urdu translation by Aslam Khokhar. 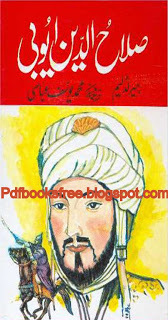 A biography and history of Sultan Salah-ud-Din Ayubi in Urdu. Click on the links given below to download “Salah Uddin Ayubi” book in Pdf format. All the books posted here are just for educational and reference. If you like the books please support the writers/poets and buy the Original hard copies.